Social isolation is a serious issue for seniors. We frequently associate loneliness with being alone and, given seniors are more likely to be alone, assume loneliness is a problem isolated to seniors. However, the facts are quite different. Whilst it is important that we address the social isolation issues facing seniors, the bulk of lonely New Zealanders are under 65 years of age. 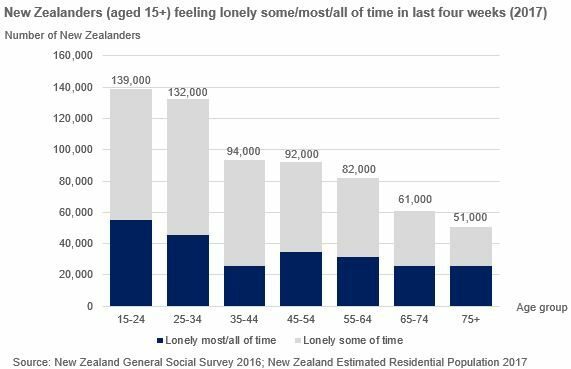 As the figure shows, loneliness in New Zealanders is highest among the young 15-24 age group.